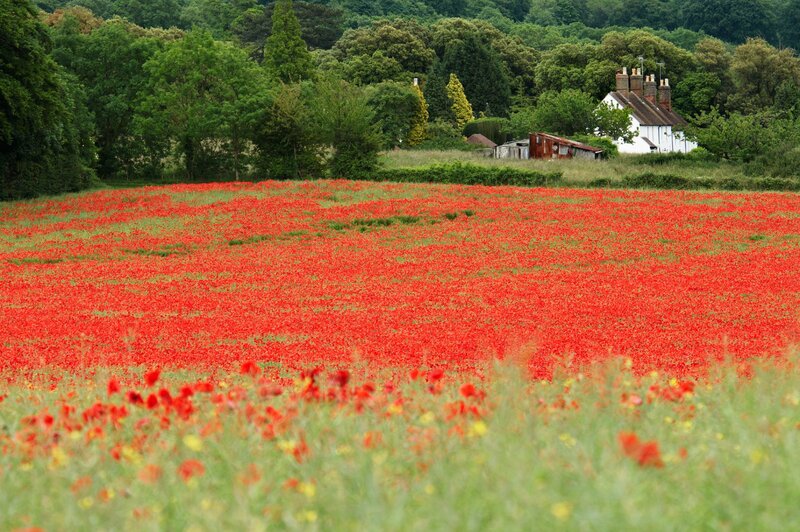 Field of common poppies with cottages in the background. Over the past couple of months I have been particularly busy trying to keep up with the abundance of new subjects that May and June bring, which accounts for the absence of blog entries over the recent weeks, so my apologies. 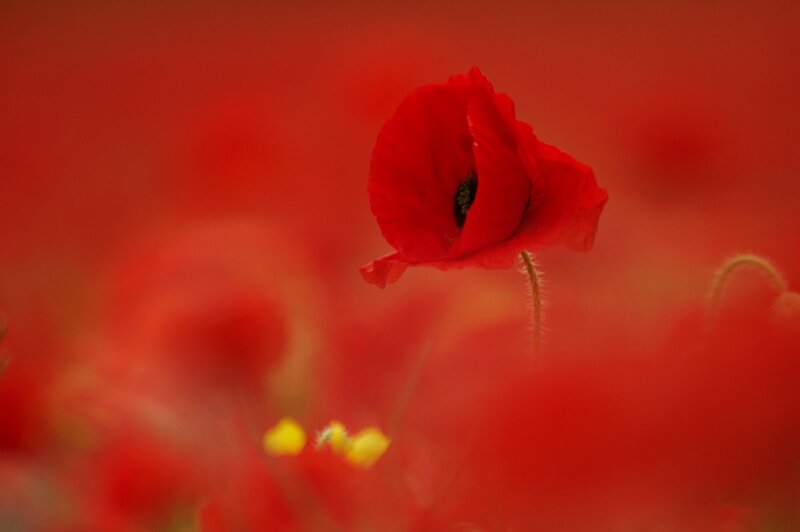 Common poppies (Papaver rhoeas) are a common sight scattered in farmers fields and on roadside verges in the summer. These ruby red poppies are one of my favourite flowers so I was delighted to discover a field ablaze with them on a recent outing.